Mendoza produces 75% of the Malbec we see on the shelves, but you’d be wrong to assume the wines are all much the same. To ensure you’re getting the very best that Argentina has to offer, Patricio Tapia reveals the five key sub-zones to look for on labels. Until recently, the model of Malbec offered by Argentina in general and Mendoza in particular could be summed up as friendly, juicy, ripe reds with sweet tannins and silky textures. The formula proved successful around the world, especially in the massive US market where Argentinian Malbec became the latest rage. That said, over the past five years, Argentinian producers have turned their interest from barrels and the latest winemaking technology to the vineyard, discovering along the way that, in reality, there isn’t just one Malbec, but many, and, like every great variety in the world, it’s strongly influenced by where the grapes grow. So what’s coming next is a whole new generation of Malbec that has moved beyond focusing on a style and has begun to base its flavours on its origins. To better understand this phenomenon, I’ve focused on Mendoza – the region that produces three-quarters of the Malbec that Argentina offers the world – and selected its most exciting subregions (here listed in geographical order from north to south). These areas represent only 10% of the total planted vineyards in Mendoza, but are delivering flavours and textures that are totally unprecedented and just waiting to be discovered. Vistalba and Las Compuertas are two westerly zones located in the highest part of the Luján de Cuyo appellation. Just above the northern bank of the Mendoza River, both abound with ancient Malbec vineyards, some of which are more than a century old. The two also share alluvial soils, rich in sand and stones dragged down from the Andes by the river. In terms of altitude, Vistalba is lower, averaging about 980m above sea level, while Las Compuertas has vineyards at 1,100m – like many others in the Uco Valley. Therefore, in the warm context of Lujan’s desert climate, Vistalba and Las Compuertas are cool. Their altitude and the proximity to the mountains bathe the vineyards in cold breezes. If you are looking for ample, expansive Malbecs, rich in ripe sweet flavours, but at the same time with solid, tense bones and sharp acidity to ensure a long time in your cellar, Las Compuertas is my favourite place in Mendoza. Gentler and lusher, examples from Vistalba could be drunk younger, as a perfect pairing for roast beef. Agrelo is one of Mendoza’s most traditional zones and is rich in old Malbec vineyards. It’s also the origin of some of Argentina’s most important reds and a good example of the region’s desert landscape: an enormous hillside with sandy, rocky soils that break off from the Andes Mountains and range from 780m to 1,100m above sea level. With barely 200mm of rainfall each year, its desert-like conditions are visible in the arid landscape, dominated by thorn trees as well as irrigation canals that spread swathes of green amid the sand and stones. Malbec ripens peacefully under the Agrelo sun. 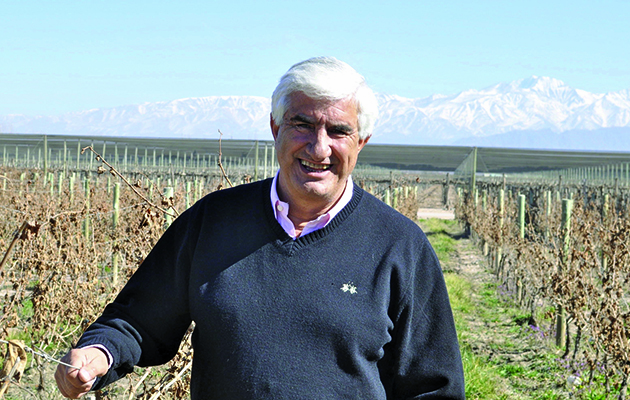 ‘The Malbec from Agrelo generally has low-tomedium yields and produces grapes with intense colour and very good ripeness that are transferred to the wine, along with aromas of black fruits – especially figs – with a very subtle spice character,’ says Jorge Riccitelli, winemaker for Bodega Norton (pictured, right). 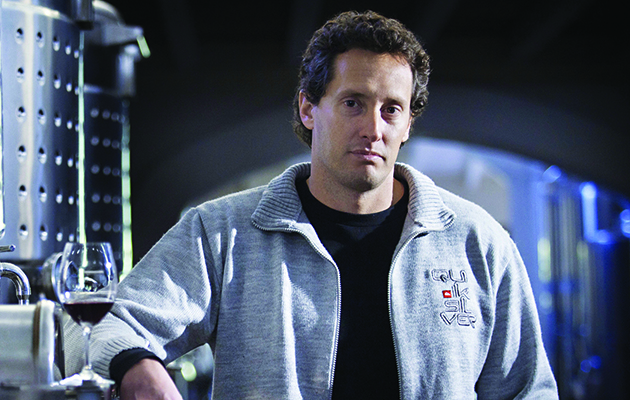 He adds that Agrelo Malbecs are known for their good concentration of soft and sweet tannins. Like many Malbec lovers, one of my first forays into this grape was thanks to Agrelo – a sunny, warm place that allows Malbec to ripen easily. The result is the most kind and gentle Malbec you can find; an excellent introduction to the grape.